What Can an Emergency Dental Service Do For You? You likely go to your dentist’s office at least a couple times per year, but there’s a good chance that you haven’t been to an emergency dental clinic in Etobicoke or your current city. That’s because, luckily, dental emergencies aren’t extremely common. However, when they do happen, you need to be prepared and know what to do. Dental emergencies are like any other medical emergency: They require prompt treatment and medical attention. Emergency dental services in Etobicoke and your hometown can help treat your emergency injuries, thus preventing you from sustaining serious or lifelong damage to your gums and teeth. A dental emergency is any tooth or gum condition that requires immediate medical care. There is a wide range of different dental emergencies. Some of them, like knocked-out teeth, can result from physical trauma or accidents, while others, such as a bad infection, can appear seemingly out of nowhere. What all dental emergencies have in common is that they need to be treated quickly. With a dental emergency, every second counts. The longer you wait to be treated, the more likely serious complications will arise, and the more difficult it will be to treat your problem. While many people do not think of dental issues as being urgent, waiting a day can sometimes be the difference between losing a tooth and keeping a full set. 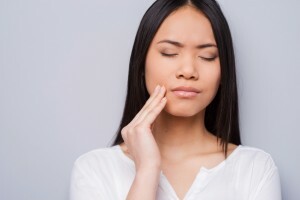 There are many different conditions that emergency dental care in Etobicoke and other cities will treat, but there are some which are more frequent than others. Here are some common emergencies that need immediate care. Knocked-Out Tooth – If you get into an accident or receive a hit to the face, you may have a knocked-out tooth. The faster you get emergency dental care, the greater the chance your tooth can be saved. When a tooth is knocked out, you need to find it and pick it up by the crown (which is the top), as opposed to the root (which is the bottom). Rinse dirt off the tooth and gently insert it back into the socket or store it in a container of water. It’s critical that your tooth remains moist, because if it dries out, there is less chance it can be saved. Pushed-Out Teeth – When one of your teeth is pushed out of position, it’s critical that you stop it from moving any further. Carefully reposition the tooth and gently clench your jaw to keep it in place. The more it moves from its original position, the less chance your emergency dentist has of saving it. Fractured Teeth – Fractured teeth are quite common, and successful treatment will depend on how severe your broken tooth is. When this emergency occurs, there isn’t too much you can do before going to a dental clinic. Rinse out your mouth with warm water or milk, place an icepack on your cheek or jaw, then head to your emergency clinic. While no one can predict when a dental emergency will occur, there are steps you can take to prepare for one. The first step is to ensure that your dentist offers dental emergency services. If they don’t, you need to find an emergency clinic that can treat you in the event of a serious injury. Emergency dental services should have an after-hours emergency line for their patients, as a dental emergency can occur at any time of day or night. Look for a clinic that can see you whenever your emergency occurs. It is also a good idea to create a small dental emergency preparation pack that you can keep in your house or in your car. When you do suffer a dental injury, having a small first-aid kit can ensure you don’t sustain any other damage. Keep your emergency dental clinic’s contact information in the pack, as well as a small container, gauze, and a small bottle of water. Even these simple things can improve your odds greatly when a dental emergency occurs.